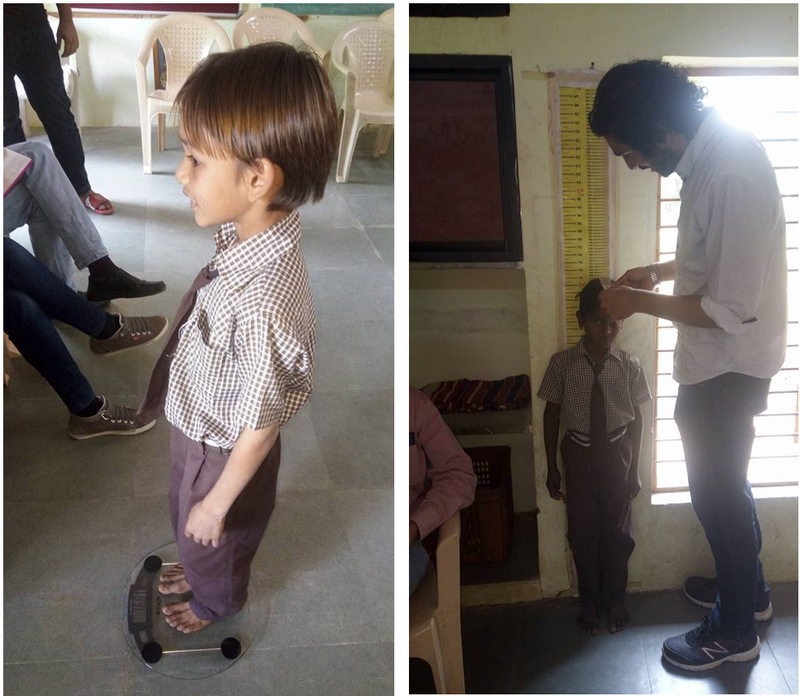 During December 2017, Heeral Thakkar visited the students of Seem Shala Jibhaipura in rural Gujrat, India, to check up on MSAP’s Food for Thought project. In March this year, the Food for Thought project will have been successfully running for 2 years! On entering the school, it is evident that the school is bustling with energy. The completion of the 2 new classrooms with the school now offering education up to year 8 (Year 6 prior to FFT), and the new enrolment of a record 30 young year 1 students in June (15 prior to FFT) has boosted the student population to 180 children. Children at Seem Shala waving goodbye! However, it’s not just the number but also the vitality of the students that has changed dramatically. The teachers echoed our observations. They stated that the students are more energetic and able to concentrate in class. This was most noticeable in students from years 2-8 who have been receiving supplementary meals for the past 2 years. Children learning about Indian and Australian Geography! We also noticed improvements in facial scars in many students who were affected by vitamin and nutritional deficiencies. We hope that the analysis of the new height, weight and MUAC measurements taken during this recent visit will allow us to quantify this qualitative evidence. It was particularly exciting to see the impact of MSAP’s ‘Handwashing’ video in 2016, The students instinctively washed their hands before eating without the need for prompting and followed all steps shown in the video. The ‘Handwashing’ video was sent to the Delhi Government to be circulated in other rural schools. The next health video will be ‘Staying Clean and Tidy’, aimed at teaching kids about taking care of personal hygiene. In MSAP’s second visit to the school, eye checks were conducted and 7 children were given glasses. Unfortunately, 4 of these students were not wearing their glasses. On further enquiry we found that these students were being bullied for wearing glasses. After explaining the importance of wearing glasses for eye health and education, we obtained a formal agreement from the children that they will wear their glasses from now on (in the form of a ‘pinky promise’). This will be followed up in the next visit. With the positive response that we have seen from the project so far, to further enhance the nutritional supplements and encourage attendance to school, the Food for Thought project will now increase provision of supplements from 3 to 5 days a week. Finally, our long awaited vision to re-build sanitary and sustainable toilets at the school is just around the corner! With the funds raised from the Diwali Mela charitable stall in 2017, we hope to build 4 female stalls, 3 male urinals and 1 male stall. Thank you to everyone who has helped start-up and run the Food for Thought project over the last two years, from the Projects subcommittee and MSAP team of 2016 and 2017, to every individual who donated not just money but also their time and commitment to this vision. We can’t wait to see where 2018 will take the project!